We know there was an Anglo Saxon church in Daresbury. It would have been a wooden structure, so nothing of it remains. Similarly, it is likely that there was one in Keckwick, though no records have been found. But the name of the township is derived from Kirke (church) and Wick (settlement) hence Keckwick. There has been a chapelry on the site of All Saints’ since the 12th century. The current tower dates from the mid 16th century, but the rest of the church was largely rebuilt in the 1870’s. The first methodists in Moore met at Hollyhedge Farm and a Wesleyan Chapel was built in 1812. It was almost 200 years old when it closed. There has also been a church institute in the village, linked to All Saints’, since the late 19th century. It holds services most weeks and also serves as a community centre. The first building was sited opposite the Red Lion and built of wood and corrugated iron, before Mary Milner funded the building of the current institute in the early 20th century. There was a disused mill in or near Factory Yard in Hatton which became the home of the first Wesleyan methodist chapel in the village. It moved to another building at ‘Foster’s Croft’ on Warrington Road. This was later converted to an Anglican mission, known as St Luke’s and linked to All Saints’. A primitive methodist church was built further along Warrington Road, next to Antrobus Cottage. They are all now closed. Methodism in Preston Brook dates back to 1764. John Wesley preached there in 1781 and 1783. The Methodists first met in a house in Preston-on-the-Hill and then moved into a chapel on the site of the current building. A second chapel was built on Aston Lane in 1819. 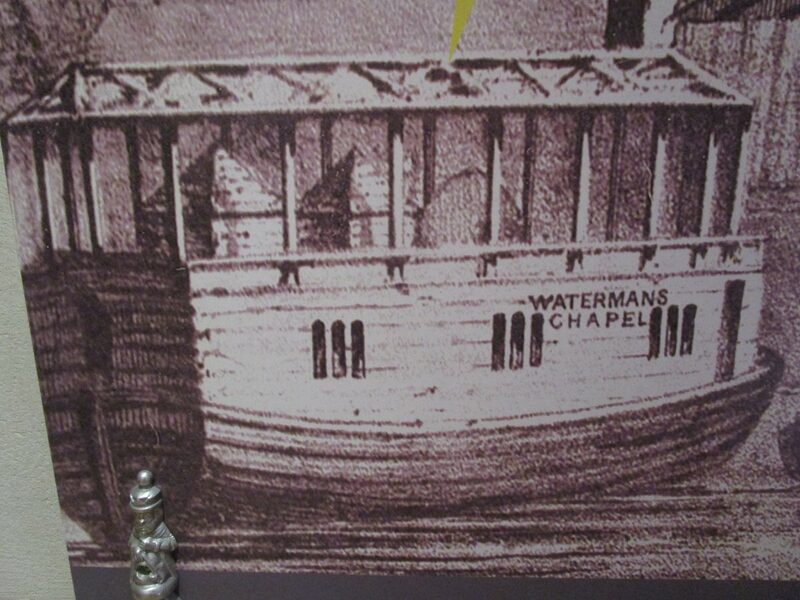 A converted canal boat travelled up and down the canal from about 1840 and was used as a place of worship by canalboat men and their families. In 1860, it was lifted out of the water and placed on the canal bank. In 1887, St Faith’s mission church, linked to All Saints’, was built, funded by the Greenall family. It replaced the mission boat and was used until the 1990’s.